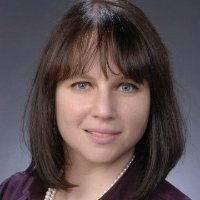 Galit Levitin is a member of the chemical practice team in Ballard Spahr’s Patents Group. Dr. Levitin has more than 16 years’ research experience in the chemistry and chemical engineering fields. Her research accomplishments are demonstrated by her more than 40 scientific publications and oral presentations, including invited book chapters and presentations, one issued patent, and three patent applications. Dr. Levitin’s background encompasses such diverse roles as member of a managing team at an early-stage microelectronic company focused on developing core optical technology for Optical Broadband Communications, Research Scientist at the School of Chemical and Biomolecular Engineering at Georgia Institute of Technology, and co-founder and Board Member of the Green Chamber of the South (Green Chamber of Commerce, a nonprofit organization focusing on incorporation of sustainable business practices in the Southeast).